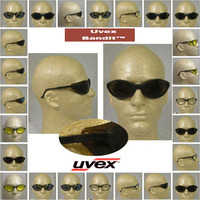 One of the top-selling protective eyewear brands in the world is UVEX. The company has been creating quality safety glasses for over 60 years and created some of the most advanced lens coatings on the market. The company makes protective eyewear for humid, gritty and rugged environments, but they also make glasses for several other applications. 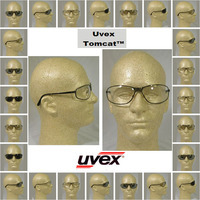 We carry a huge selection of UVEX safety glasses because we believe in the quality of this brand. We have models from the Tomcat, Genesis, Bandito, Bandit, Astrospec and Astro OTG product lines. 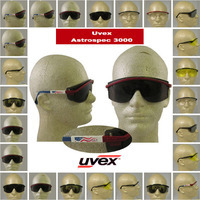 These aren’t the best glasses for style, but if you’re looking for optimal functionality and safety, UVEX has you covered, literally. 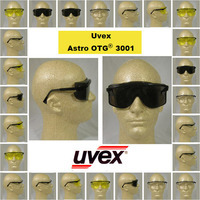 Our UVEX Astrospec 3000 Series glasses are available with mirror, clear, amber or smoke lenses. 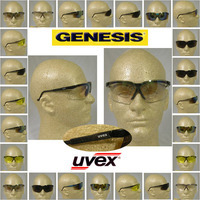 Although many of the UVEX safety glasses that we carry have clear lenses, you should be able to find a pair of UVEX glasses with almost any type of lens.